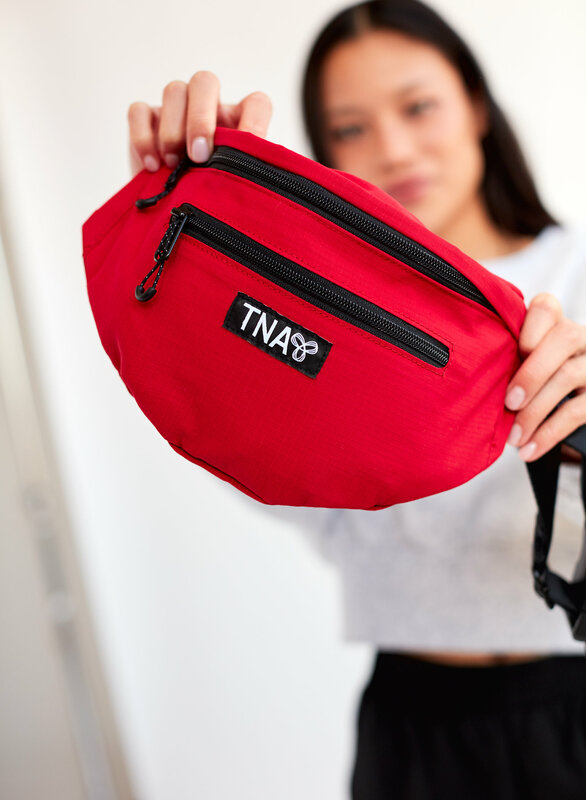 Keep your essentials (aka snacks) close. 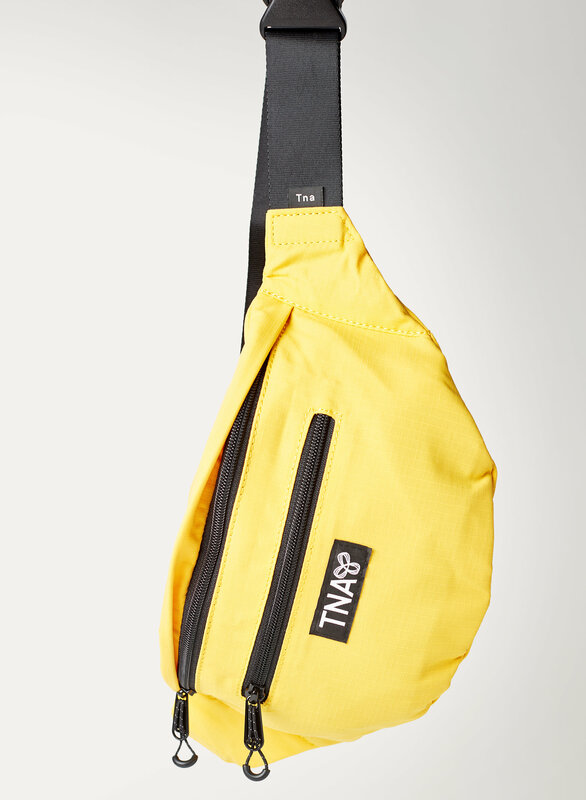 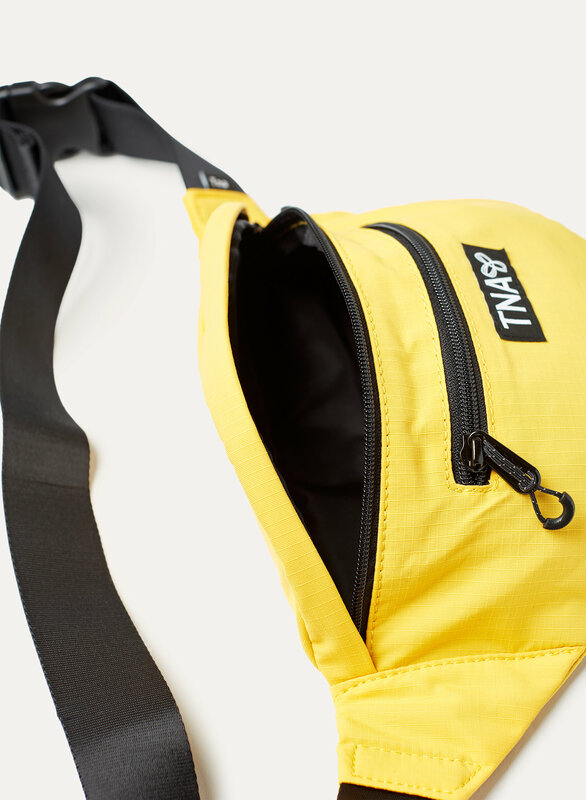 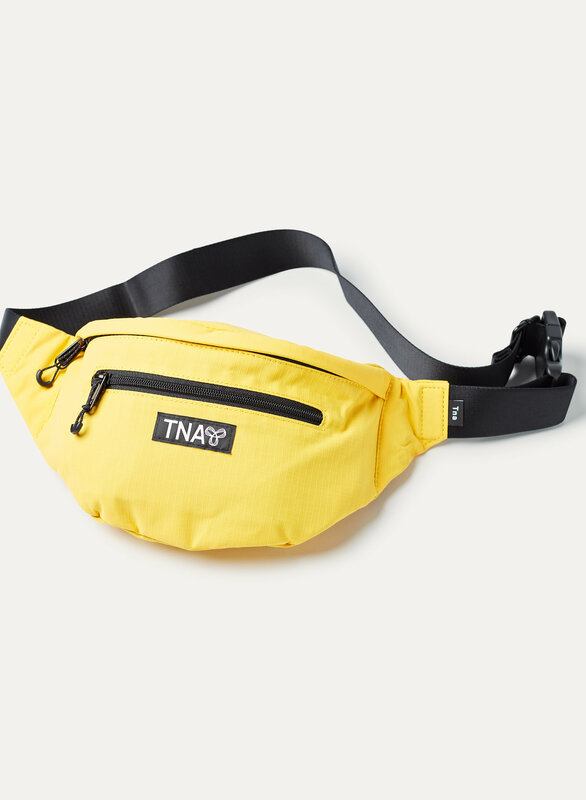 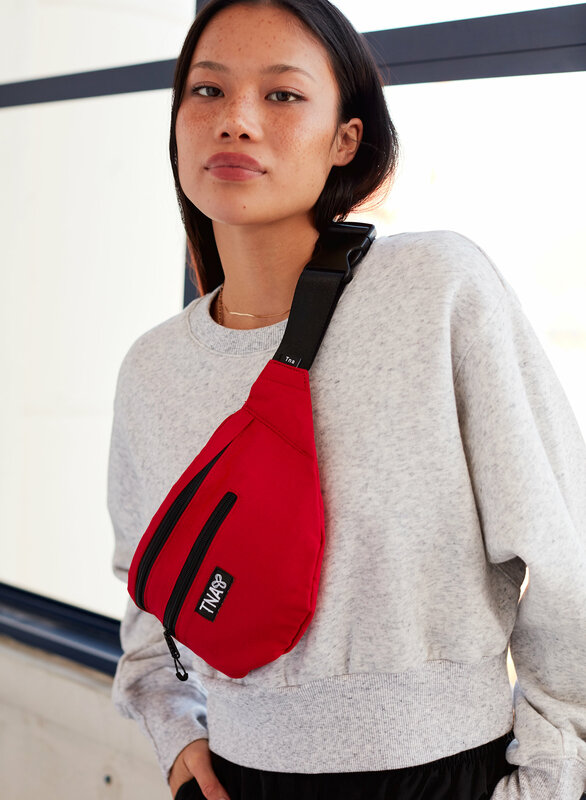 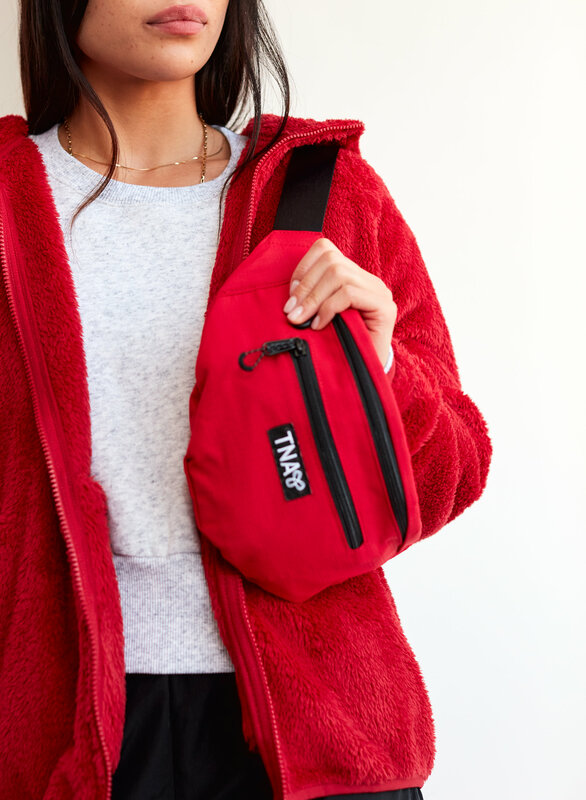 This is a classic waist pack with an adjustable belt, plastic speed clip and dual storage compartments with zipper closures. 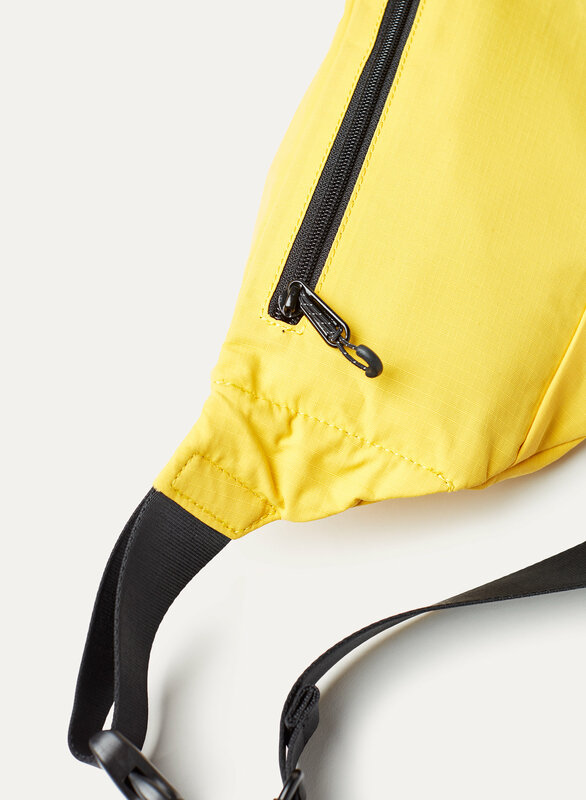 It's made with a ripstop nylon.